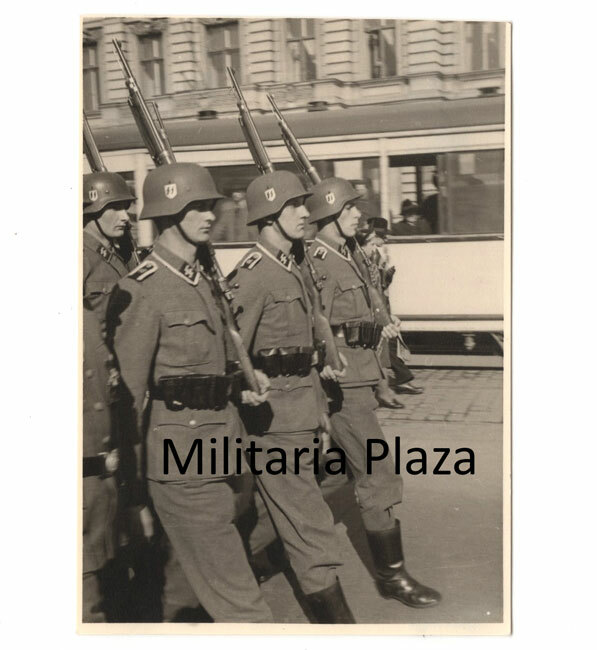 9,5 x 6,5 cms sized Waffen-SS photograph showing marching Waffen-SS 'LAH' (Leibstandarte Adolf Hitler) members wearing their uniforms and Waffen-SS Helmets. The soldiers are marching with their Mauser 98k rifles. The photograph is developed on 'Agfa' photo-paper. Nice original photograph! 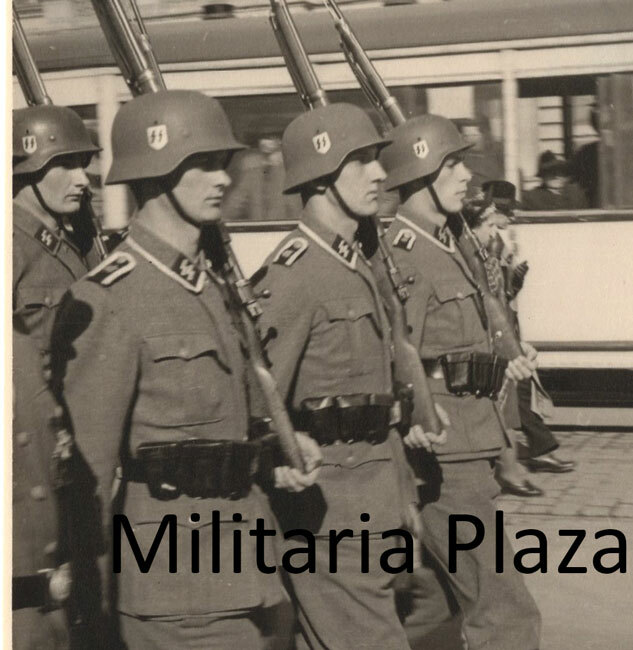 9,5 x 6,5 cm grote Waffen-SS foto, op de foto zijn marcherende Waffen-SS 'LAH' (Leibstandarte Adolf Hitler) soldaten te zien, ze dragen hun uniformen en Waffen-SS helmen. De soldaten marcheren met hun Mauser 98k karabijn. 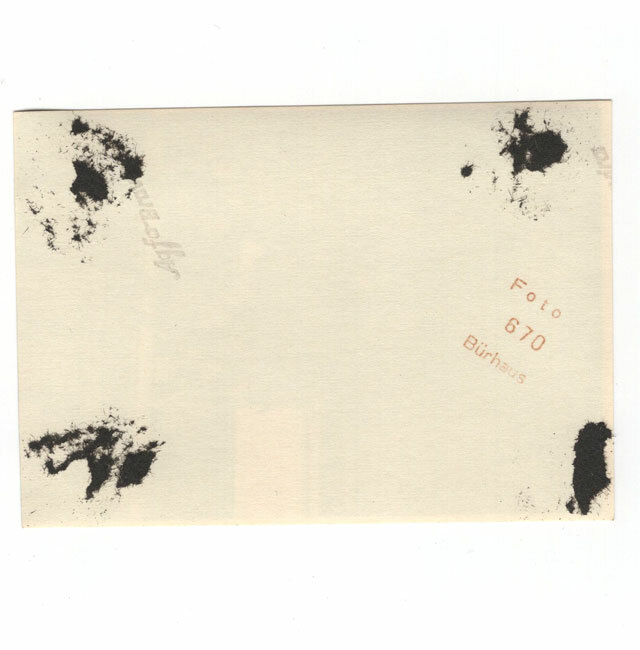 De foto is ontwikkeld op 'Agfa' foto-papier. Mooie originele SS foto!